Cleaning kitchen is an uphill task for many people. If you are among them, we have listed 13 awesome kitchen cleaning hacks that will keep your cooking place hygienic and germ-free. Use them and make the cleaning process stress-free. The dust particles and grease gets easily collected on the kitchen cabinets. If left unclean for weeks, it becomes a difficult task. Here are some tips to make the cabinet cleaning easy and quick. Empty out the content of cabinets. Use a water vinegar solution to clean the grease without harming wood. You can also take a mild soap. Use this solution to wash the inner and outer surface of the cabinets by using a sponge. Apply a paste of baking soda and water to remove tough stains. Keep the paste for 10 minutes and clean it with a damp sponge. Wipe it down a with a clean and dry cotton cloth. Leave it until dries as wet wood can develop mold. Use a rubber mat to line your cabinets. To give your kitchen sink a stink-free and refreshing look, follow the given tips. You need some eco friendly material to clean the sink including baking soda, sponge, lemon peel (orange peel can also be used), vinegar, paper towel and olive oil. Remove any food bits and dishes from the drain and give your sink a quick wash.
Sprinkle baking soda on the entire sink and scrub it with a soft sponge in circular movement. Wash basin with vinegar as it will remove hard water stains and disinfect your sink. Rub the sink with sponge and wash it with water. Take a lemon peel and rub the basin using it. This will give it a shiny look. Polish the sink with olive oil using paper towel. Fill a spray bottle with two cups of water; add vinegar and lemon juice to it. 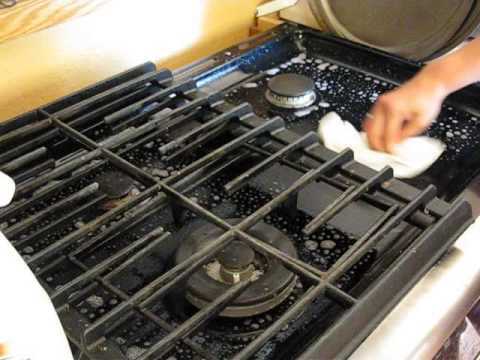 Clean the dust particles and crumbs from the stove surface using a dry rag. Now, spray this solution on the gas top and leave it for a couple of minutes. Later, wipe this solution and clean the surface with a cotton cloth. We have further DIY oven cleaner hacks which you should check out. 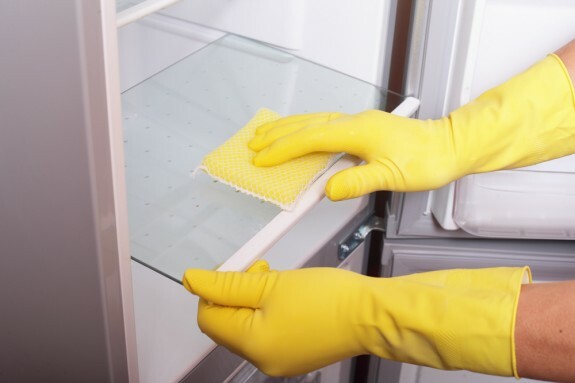 Frequent cleaning of freezer/fridge is essential to keep it clean and bacteria free. Here are some tips to clean this electrical appliance. First of all, unplug the refrigerator. Then, take out the stored food from the fridge and place it on the counter. Throw out the inedible food or spoiled things to prevent mold distribution. Take out the removable surfaces areas of the refrigerator like crispers, drawers and shelves, in order to clean it properly and quickly. Use a sponge or soft brush to wash these removable parts. Wash the glass shelf with cold or normal water. Don’t use hot water, as it may break the glass. Use solution of ammonia and hot water so as to remove the heavy stains before scrubbing. Prepare a natural cleanser by mixing ¼ tsp baking soda in 4 cups of water. Clean the inner surface of the refrigerator with this solution to deodorize it. Apply white toothpaste on stubborn stains. Clean the door of refrigerator with a damp cloth. Insert shelves and grills back into the refrigerator after drying them completely with a clean cotton cloth. Rearrange the food items back into the refrigerator and plug it in. 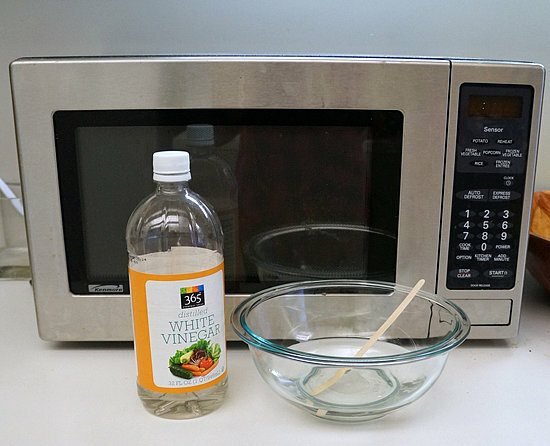 Occasional cleaning of microwave leads to build up of gunk and other food particles that become hard to remove. It even decreases the working efficiency of this mechanism. The vinegar water solution steam cleans the inside walls of this electrical device without any mess. Take a bowl and fill it half with water and add a tablespoon of white vinegar. Place this bowl inside the microwave. Turn the microwave on for five minutes to steam up its walls. Keep it inside for a couple of minutes, as the steam will help loosen dried-on slime. Now, open the door. Take out the bowl and spinning plate. 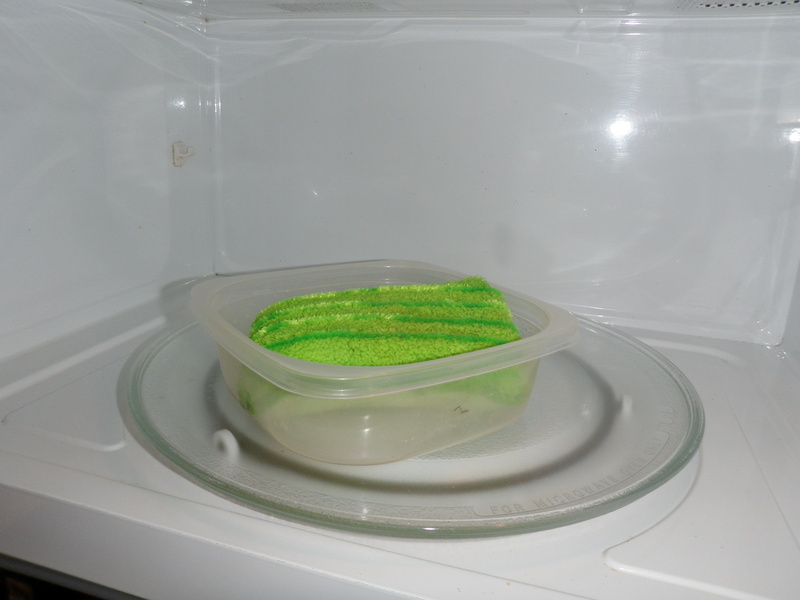 Clean the inside of microwave using paper towel or sponge. Note: Be cautious while taking out the bowl and plate as they may be hot. Wash the plate very carefully. Once you have prepared smoothie, it’s a difficult process to clean the blender. To make it easy and quick, simply pour some lukewarm water and liquid soap in it. Turn it on for few minutes. Now wash off with plain water. Fill the container with lukewarm water and mix mild dish soap in it. Wet the dish cloth with soapy water. 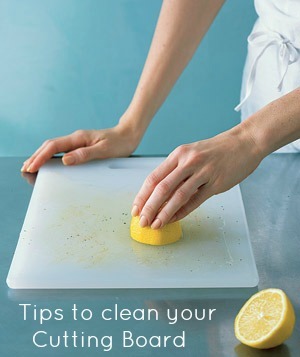 Wipe away all the crumbs and spills on the countertop. Dry the countertop thoroughly with a soft terry cloth towel or a microfiber cloth. Take the solution of 91% isopropyl alcohol and water; and spray it onto the countertop. Clean and dry it with microfiber cloth. Have a shiny and clean countertop. 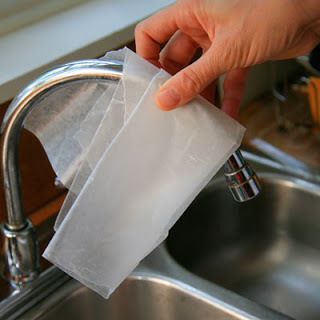 In order to clean the sink tap, take a piece of wax paper and rub over it. This will help clean the water spots. Simply rub a lemon half over the wooden or plastic board. Leave it for 20 minutes. 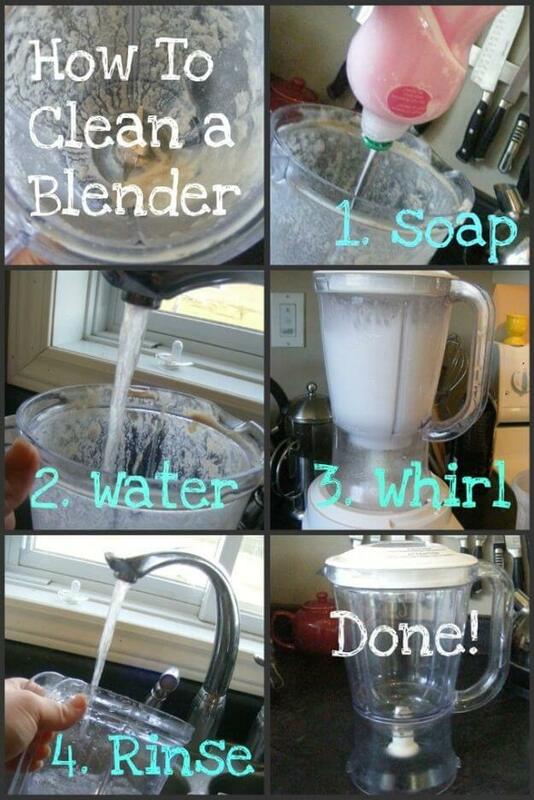 Rinse with plain water. 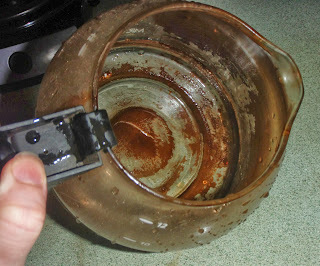 Firstly, you are required to clean coffee grounds from the carafe and rinse it. Then, prepare a solution of vinegar and water in equal proportion; and fill the chamber. Switch on the maker and turn it off in between. Wait for 60 minutes. Now, again start the brew cycle and let it finish. Drain out the water-vinegar solution and brew a fresh water cycle. Repeat water cycle twice with a few breaks. Finally, rinse the filter basket and carafe in hot soapy water; and then wash them in plain water. Wipe the exterior of the coffee make. Reassemble its parts and brew a cup of coffee. Firstly, pour water in the burnt pan. Add vinegar in it. Bring the solution to boil. Now, remove it from heat and add baking soda. Rub it with a scrubber (if required). Say good bye to stubborn satins. Take some water and add lemon juice in it. Soak in the sponge and microwave it for a minute to kill all the bacteria. Leave it for 5 minutes and rinse with plain water. Accumulation of debris and dust may hinder the performance of your dishwasher. Hence, it is essential to give frequent cleaning to this mechanism, in order to maintain its efficiency. First of all, remove the bottom rack so that you can access its drain. Remove all the food chunks and greasy gunk. Take a dishwasher-safe mug and add a cup of white vinegar in it. Place it on the upper rack and shut the door. Run hot water in to it. Vinegar helps remove all the grime and grease from your dishwasher. Then, sprinkle one cup of baking soda crosswise at the bottom of the machine. Again, run it on a short hot-water mode. Finally, you have your stain-free and stink-free appliance back. It’s most useful cleaning hacks . These cleaning hacks make our everyday life easier. I like it. Thanks for sharing.